At Spirit League, we want our athletes to enjoy their game day and have an incredible team sports experience. In order to achieve this goal, the Spirit League team works behind the scenes during the week. 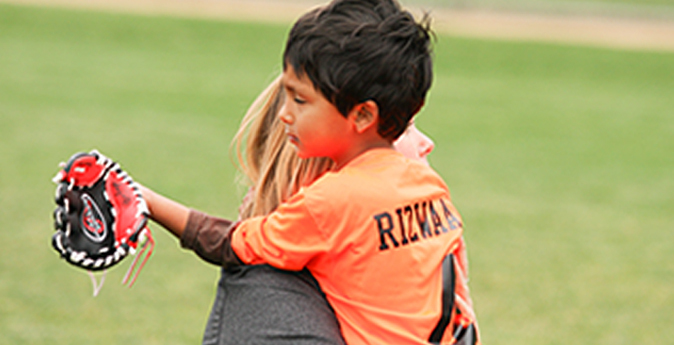 But on game day, we want our families, coaches and team mentors to have a “go-to” person for questions and guidance. We have just the person for this important role. 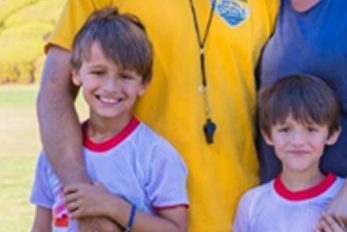 Meet Teresa Loge (pronounced Lo-Jay), our new Spirit League Program Director. As Program Director, Teresa will manage all game-day activities in addition to soliciting sponsors for the League. We thought you might enjoy meeting Teresa. Spirit League: How did you become interested in Spirit League? Teresa: I became interested in Spirit League through our now-President, Melissa Cory, a few years ago. I love sports and thought that this organization would really make a difference in the community. 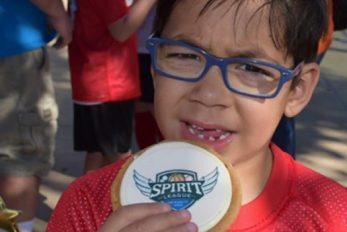 I attended a few games and saw the fun the athletes were having, the friendships they were making and the community feel Spirit League generates throughout the seasons. Spirit League: What is your favorite sport? Teresa: It is difficult to pinpoint my favorite sport, because I really do love all three sports our Spirit League has to offer. All of them involve teamwork, skills building and action-packed fun! Spirit League: You seem to know many of our athletes. How do you know them? Teresa: Many of our Division 1 athletes were or are students at New Vista School. I worked there for about four years as the Admissions Coordinator. As a result, I developed great relationships not only with the players but their parents, as well. Spirit League: What is your favorite thing about Spirit League? Teresa: I like so many things about Spirit League – talking with our parents, interacting with our athletes, watching the players learn more and more at each game. But I truly do think it is the positive and safe environment that Spirit League offers to everyone who joins that I love the most! Spirit League: What do you like to do in your free time? Teresa: For fun, I enjoy watching professional football and baseball games – I am an avid San Diego Chargers and LA/OC Angels fan. Now that the Rams are back in town, my husband, Jim, and I will be attending a few of games at the Coliseum. And – believe it or not – I love to fish (but only on lakes – no ocean for me – and I’m pretty good at it, too!). I also look forward to my family get-togethers and we always have a great time just being family! Oh… and my rescue dog, Bruin, who is HUGE; half-black Lab and half-something else really big! I enjoy taking him on walks – or he enjoys taking me for walks – always FUN! When you see Teresa at the field this weekend, make sure to introduce yourself. Welcome, Teresa, to the Spirit League family.